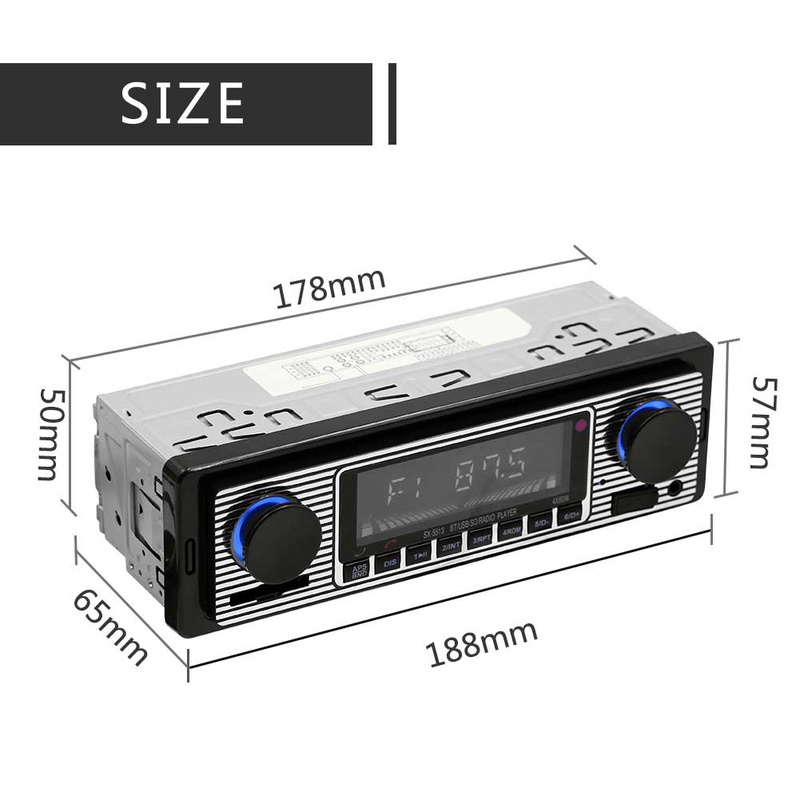 Successfully Added Bluetooth Vintage Car Radio MP3 Player Stereo USB AUX Classic Car Stereo Audio to your Shopping Cart. Brushed metal panel, Dual knob development and Built-in Bluetooth + phone. Hands-free calls and Supports Advanced Audio Distribution Profile. Off time display function and Digital high-quality FM stereo radio. Preset 18 stations (frequency: 87.5-108 MHz) and Support USB / SD / MMC card reader. Support Audio: MP3 / WMA / WAV, etc.Support folder function and Support breakpoints and ID3 Play.